“Historic barns are preserved for a number of reasons. Some are so well-built that they remain useful even after a hundred years or more. Many others are intimately connected with the families who built them and the surrounding communities. Others reflect developments in agricultural science or regional building types. … Moisture can damage historic materials severely, and, in extreme cases, jeopardize the structural integrity of a building. Every effort must be made to secure a weathertight roof. 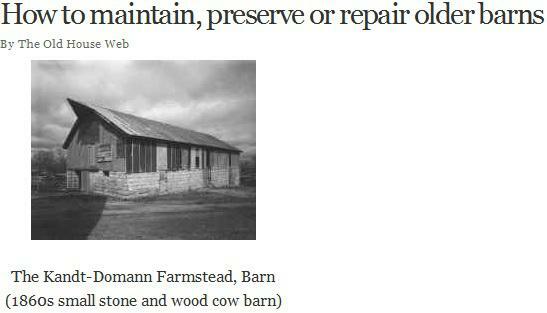 Residents of Menlo Park, if not the Bay Area, do understand the value of preserving old barns, especially if they’ve owned large California land for generations. A casual trip through California’s interior may reveal several abandoned barns that are still standing– and not only on the Bay Area or in ghost towns like Bodie. When you have a barn that deserves to be there for your loved ones down the road, why not hire a trusted roofing contractor from Menlo Park like Shelton Roofing to make it happen? A repair job on an old barn is often a full-spectrum operation, as you need more data on the condition it has been in over the years and its original appearance to properly guide you. Some experts contend that old barns will have so many clues warranting repair or replacement, such as gutters and downspouts, holes in the roof, and sections of the rafters affected by the leaks. The article states that while a new roof is important for preserving an old barn, full structural inspections and corrective work are needed to ensure the place will not give way under the weight. At the same time, your preferred Menlo Park re-roofing specialist should be fully educated on the original materials and consider identical material or modern roofing that mimic the original. A fresh coat of paint with tones resembling the original design works as well. A historically-accurate roof adorning your barn goes a long way to helping preserve its classic appearance. Having one setup with the help of roofers like those from Shelton Roofing, however, ensures it will last for a long time to come.